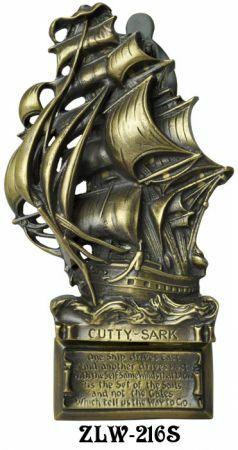 The famous "Cutty Sark" 3D doorknocker. 3D? This piece can only be cast in Lost Wax, and in one piece, due to the projecting spinnaker-type sails. The detail of the ropes, sails, and the sea is wonderful. 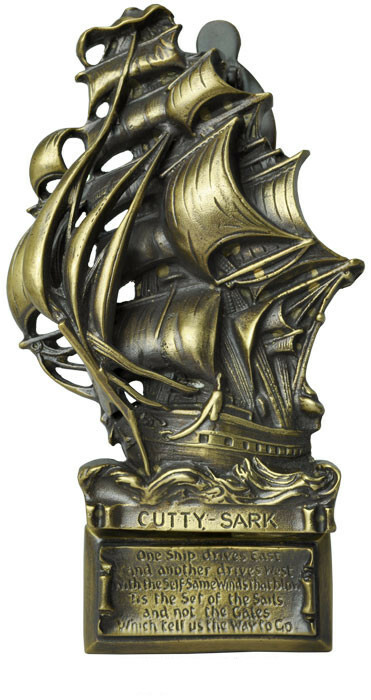 The best ship doorknocker available. Backplate Dimensions: 8" tall x 3" wide. Mounts with 2 thru-door vertical screws at 6" center to center. 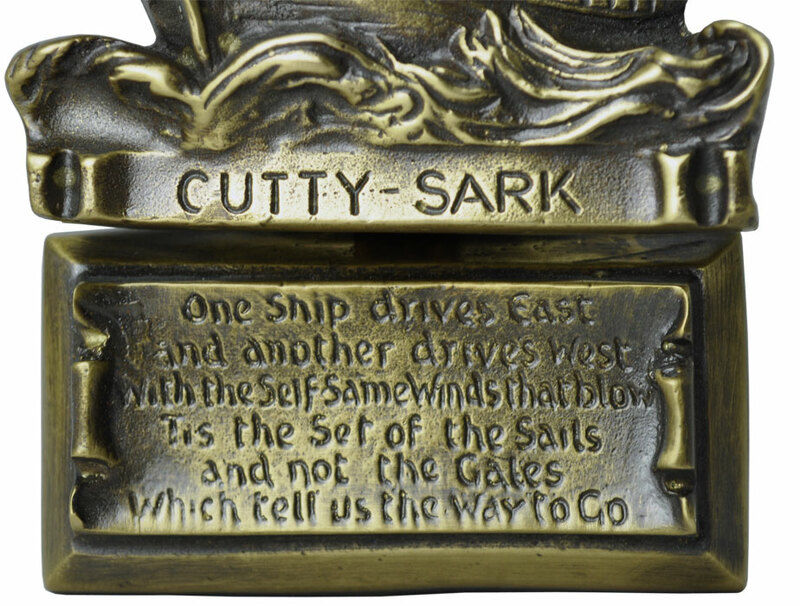 Sold in our Antique Brass Finish. 1/4"-20 thread fasteners are included.